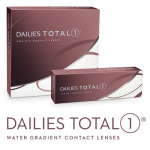 Whether it’s your first time wearing contacts or you are a previous contact lens wearer the team at Triangle Family Eye Care will take every aspect of your lifestyle into consideration to recommend the best lens for you. We will narrow down the options for a vision solution that is as friendly for your eyes as it is for your budget. We expertly fit and offer all types of contact lenses, including, but not limited to, soft lenses, dailies, rigid or gas permeable lenses, and specialty lenses. You will leave our office with comfortable contacts that produce great vision, sample cleaning solution, and thorough instructions for proper care of your lenses. Triangle Family Eye Care carries lenses for all type of eyes, whether you need to see better near, far, and everywhere in between. Some of the many popular brands we fit and carry are Acuvue, Air Optix, Purevision HD, Biofinity, Freshlooks and much more. Dr. Prajapati is an expert with hard to fit patients and can assure your overall satisfaction. Wear a new pair for a day, When you're done, throw them away!